In 2014, food trucks and food cart are becoming increasingly popular along with the rise of a new generation of street-food lovers. According to a study by IBISWorld, the street-food business is a $1 billion dollar industry that has grown by 8.4% since 2007. Food carts are mobile kitchens set up on the street in order to facilitate the sale of street food to pedestrians. These food carts can be found in huge cities globally and sell a wide variety of food. These carts differ from the trucks as they do not travel under their own power and have to be towed by another vehicle. The carts are fairly easy to maintain and is an extremely cost effective way of doing business. Reasons to operate from a food cart! Food carts have a lower operating overhead and can be moved to new locations if one location is not generating a good amount of business. As it is such a mobile operation, the owner can simply just drive to a new location if business is poor. There are also an increasing number of people who are seeking cheaper alternatives for breakfast and lunches. Employees these days also have shorter lunch hours and are looking to get decent food on a faster schedule. Thus, such factors have made the mobile-food concept even more appealing than ever. There are two standard types of food carts. One has room in it for the vendor to sit or stand inside and serve food through a window. The other type of food cart uses all the space in the cart for the storage of food and equipment. One should select the cart based on the type of food that is being sold. 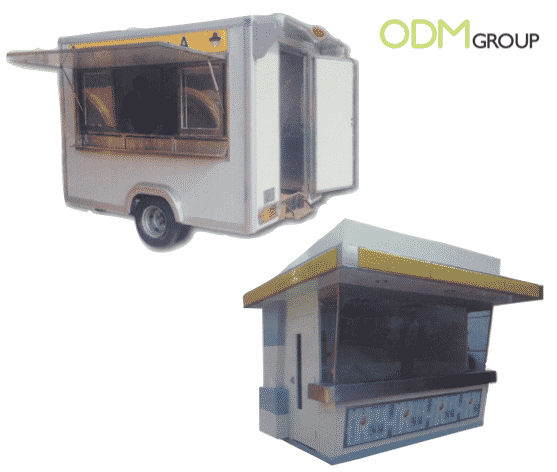 Food carts also come in a wide variety of shapes, designs and sizes. 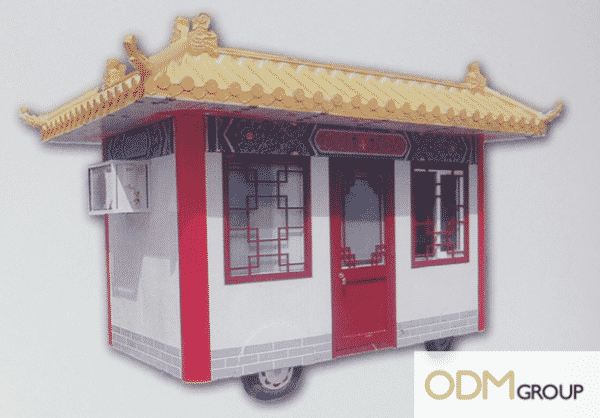 Take this cart for example; it is designed to look like a Chinese-style building and will definitely be perfect for a food cart selling Chinese take out. You can consider customizing the design of the food cart to make it stand out and to help boost your company image as well as recognition. By having a unique looking exterior, your customers will be able to identify your cart from even a block away! 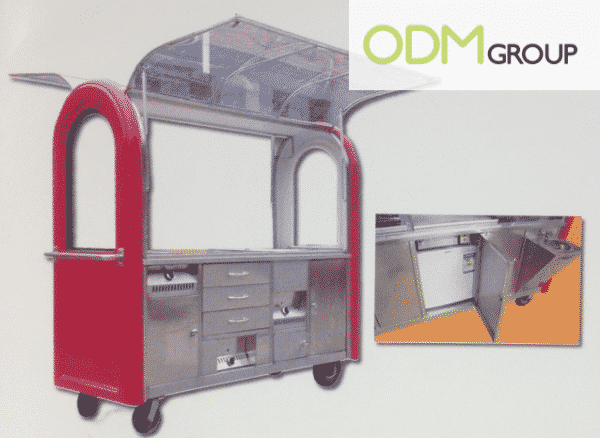 Contact us at ODM to get started on your very own custom food carts now!